Turkey’s Family, Labor and Social Services Ministry has assigned inspectors to investigate the causes of a fire at an Ankara furniture workshop on Jan. 16 which killed five Syrian workers. “We tasked the inspectors as soon as we heard about the incident. If there is negligence, necessary penalties will be imposed,” Family, Labor and Social Services Minister Zehra Zümrüt Selçuk said on Jan. 17. Following the investigation launched by Ankara prosecutors, 17 people were interrogated, including two owners of the company. The fire possibly erupted following electricity contact which set sponges on fire, fire authorities and crime scene investigation units said following the deadly incident. But it was later revealed that the building had only one exit and did not have a fire exit. Syrian workers work in precarious labor conditions and are hired mostly because employees do not want to pay their insurance or minimum wage. “Insurance premiums are really expensive and shopkeepers do not make money. For cheap labor, they [shopkeepers] tend to hire Syrians. 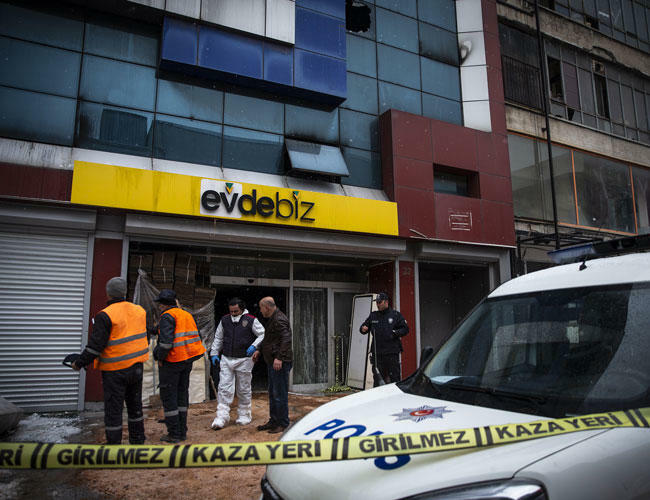 The state needs to step in for insurance,” one storekeeper, whose name was not disclosed, was quoted as saying by Demirören News Agency on Jan. 17.